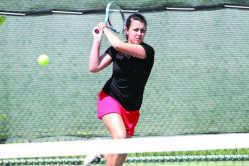 The Southeast Missouri State University tennis team is on its way to a great season. The Redhawks record is an even 4-4. The four losses are to Southern Illinois University, St. Louis University, University Northern Iowa and Iowa State University. The tennis team at Southeast Missouri State University is coachless again after Josh Moore's contract was not renewed because of "insubordination." 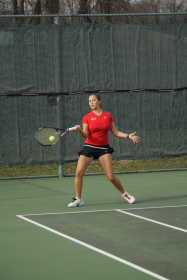 The fourth and newest addition to the tennis team is former Southeast soccer player Sarah Uptmor. 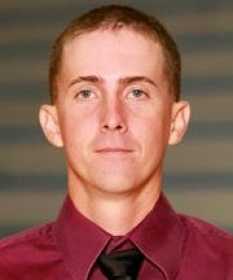 Coach Josh Moore is the only new edition to the Southeast Missouri State University's tennis team. Southeast Missouri State University has hired Josh Moore as its tennis coach. Moore coached first-year program Texas A&M-Kingsville last year. 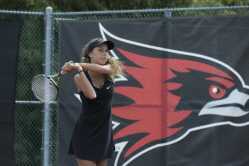 It was an easy task to get Melissa Martin and her family to visit southeast Missouri and sit down with women's tennis coach Mark Elliott and talk about playing tennis at Southeast Missouri State University. 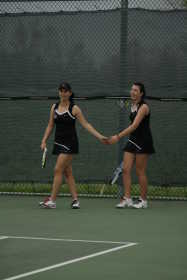 Southeast Missouri State University women's tennis coach Mark Elliott is optimistic that the 2012 team will be the most successful team that he has coached in his five years at the school.